My name is Mohammad Kaleem and I am a freelance web designer in Delhi. And working in this field last 3 years. 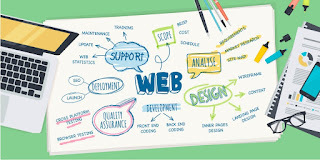 we have a great team to develop you website profeesionaly according to your needs and latest trends. We provides creative, innovative, affordable & mobile friendly services in website design, development and our primary focus is to add new features that can lay down to ensure success for your online business. Designing is an art. Artist design it for canvas and I design for digital screens. My name is Mohammad Kaleem and I am a freelance web designer in Delhi. And working in this field last 3 years. I create beautiful websites which you and your customers will love to browse. I am very much concerned providing quality work to all my valuable clients. I love satisfying my client needs. My personal view is that you can pick any one who can full-fill your requirements. I am passionate about working with startups, create their digital presence and grow with them. If you have a project then get in touch now.